Trump’s claim that North Korea no longer poses a nuclear threat is questionable considering Pyongyang’s significant weapons arsenal. In a early morning social media thread, the president said the country could "save a fortune by not doing war games." Actually, concerns about North Korean missiles and nuclear weapons reached a peak last year, during Trump’s first year in office, as the North conducted more tests and Trump and Kim trained ever more fiery rhetoric on each other. When asked Wednesday whether Trump was jumping the gun by declaring victory, White House counselor Kellyanne Conway told reporters: “This president wants North Korea to completely denuclearize so obviously that has to be complete, verifiable and irreversible. Freezing the regular military exercises with South Korea is a major concession to North Korea that has long claimed the drills were invasion preparations. Trump’s announcement appeared to catch the Pentagon and officials in Seoul off guard, and some South Koreans were alarmed. Trump cast the decision as a cost-saving measure, but also called the exercises “inappropriate” while talks continue. 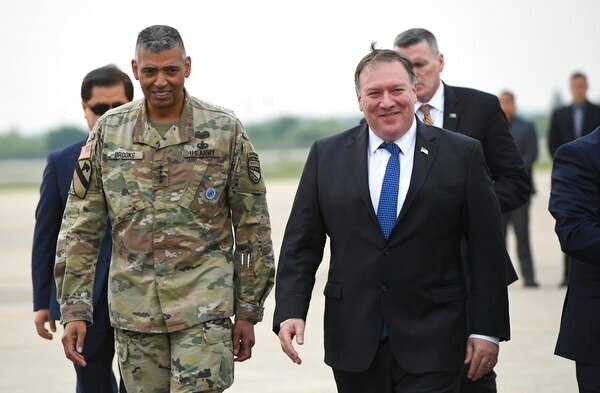 “He was unambiguous about that and how he communicated it, both at the press conference but certainly when he was with Chairman Kim as well,” Pompeo said. 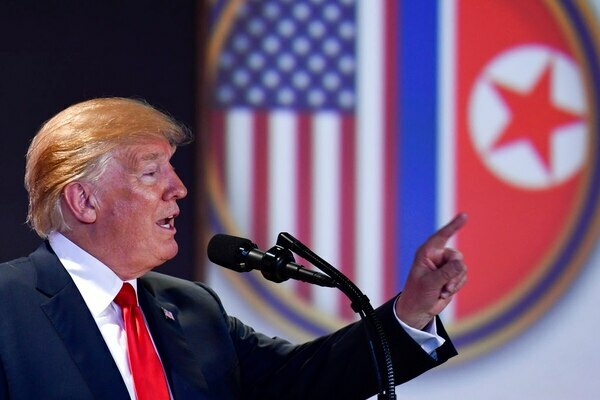 In North Korea on Wednesday, Pyongyang’s first reports on the summit stressed to the nation’s people that Trump had agreed to Kim’s demand to halt the military exercises and suggested that Trump also said he would lift sanctions as negations progressed. 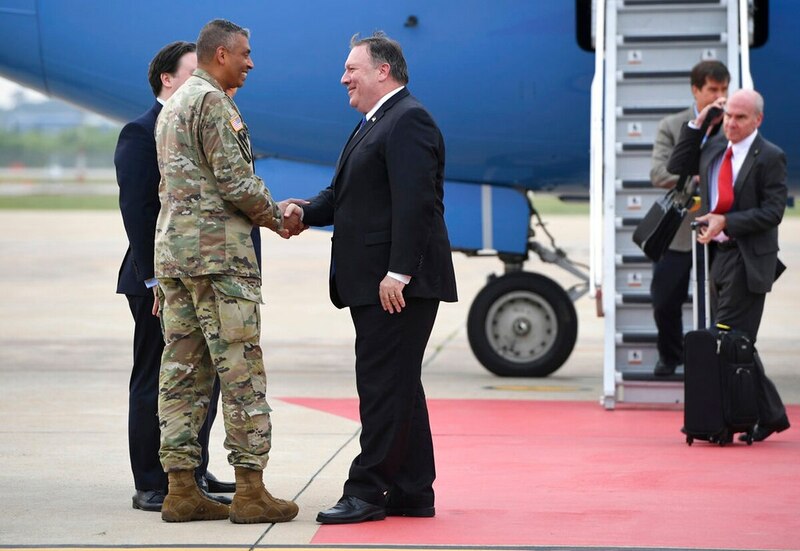 Pompeo, after landing in South Korea, met for nearly an hour with Gen. Vincent Brooks, commander of U.S. Forces Korea. The secretary of state is to meet President Moon Jae-in on Thursday morning to discuss the summit. Japanese Foreign Minister Taro Kono also headed to Seoul and was to meet with Pompeo and his South Korean counterpart. Pompeo, the former CIA director, then plans to fly to Beijing to update the Chinese government. “The U.S.-South Korea joint exercises and U.S. forces in South Korea play significant roles for the security in East Asia,” Defense Minister Itsunori Onodera told reporters Wednesday. He said he planned to continue sharing the view with Washington and Seoul. Lederman reported from Seoul, South Korea. Associated Press writers Anne Flaherty in Washington; Foster Klug and Adam Schrek in Singapore; Eric Talmadge in Pyongyang, North Korea; Kim Tong-hyung in Seoul and Mari Yamaguchi in Tokyo contributed.